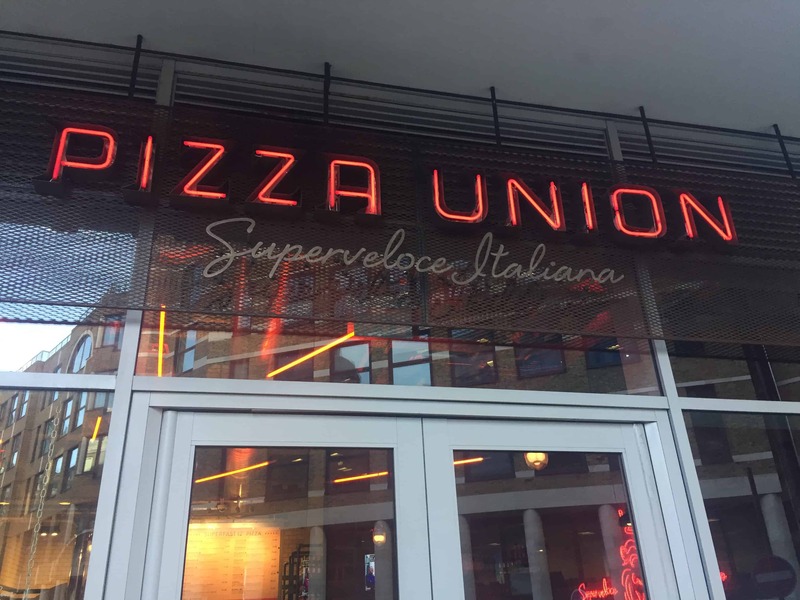 Pizza in London – look no further than Pizza Union, a fantastic chain of pizza restaurants. Eat in on long communal wood tables or takeaway! 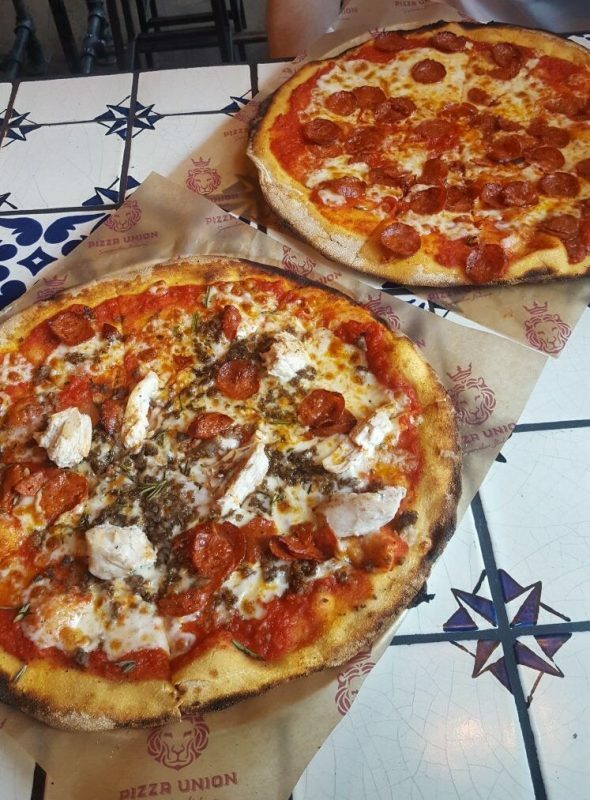 No table service – just get in the queue and order your pizza. With all of them priced between £3.95-6.50, this place is one of the most affordable pizza joints in London. Once you pay you receive a device that buzzes when your pizza is ready. You can see the pizzas being prepared and cooked in fire baked ovens. I loved the simple menu and opted for double pepperoni and a san pellegrino. This only came to £8.50 – an absolute bargain! Thin, crispy and flavoursome without being too greasy or stodgy, it was one of the best pizzas I have had in London. My colleague has a gluten free diet and said it was one of the best pizza’s she had ever had. 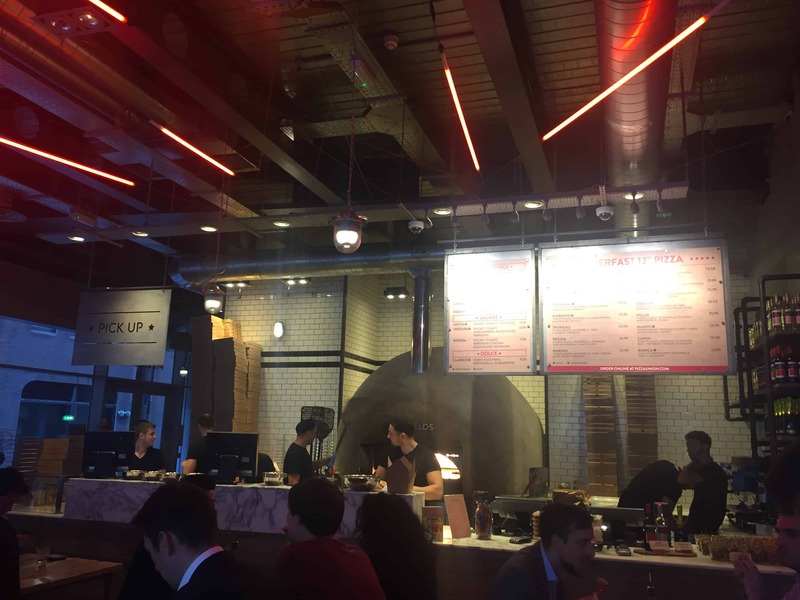 Absolutely recommended if you are looking for pizza in London.